Being the first month of Hindu calendar year, Chaitra (Chet) is one of the most auspicious times with numerous festivals and events. 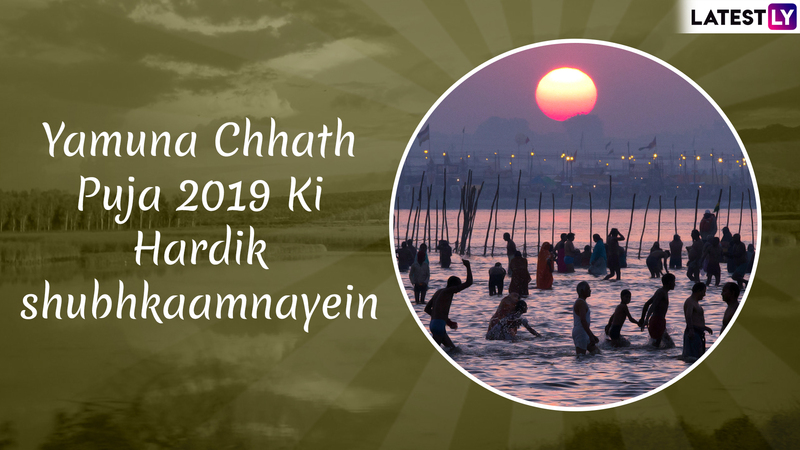 One such festival is Yamuna Chhath Puja taking place on April 11, 2019 (Thursday). Also known as Yamuna Jayanti as on this day Goddess Yamuna descended on earth and it marks her birth anniversary. Now, India celebrates Chhath twice a year, the widely popular falling during winters when devotees worship the Sun God and Chhathi Maiya. But despite Yamuna Chhath Puja celebrations limited to few regions such as Mathura and Vrindavan, people wish each other on the festival day with a lot of fun and excitement. 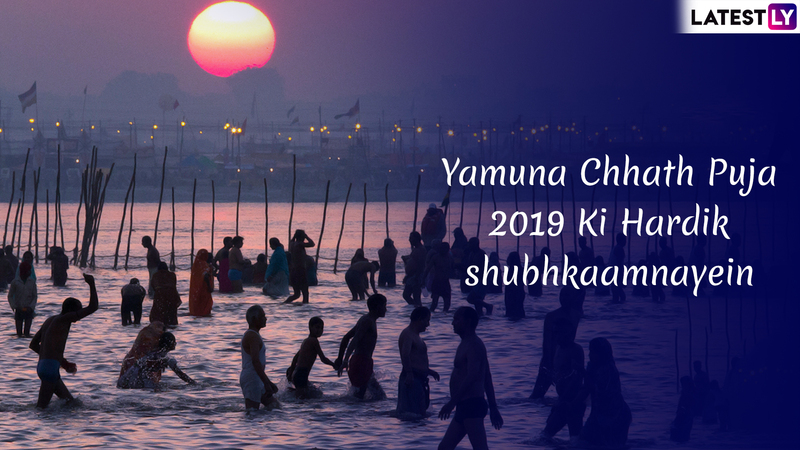 In this article, you will find a collection of Yamuna Chhath Puja 2019 wishes, messages, GIF greetings, beautiful images, SMS, wishes in Hindi and so on. Yamuna Chhath Puja is observed on the sixth day aka sashthi of the Shukla Paksha (waxing phase of moon) during the Hindu month of ‘Chaitra’. During Chaitra Navratri, the nine-day festival celebrated in honour of Goddess Durga, Yamuna Chhath/Yamuna Jayanti falls on the sixth day. The sacred river of Yamuna is the second largest tributary river of the Ganges (Ganga) after Ghaghara and the longest tributary in India. In the Vedas, Yamuna said to be the daughter of Surya is known as Yami. She is the wife of Yama, the God of Death and also associated with Lord Krishna as one of Ashtabharya, the group of the eight-principal queen-consorts. You can learn more about Yamuna Chhath Significance and Origin of the Hindu Festival of the River Goddess here. As of the lovely greetings and messages, images and GIFs, you can find them below. 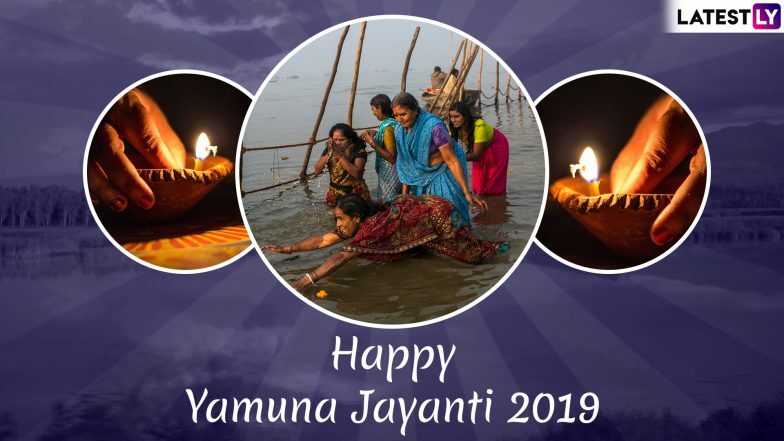 WhatsApp Message Reads: May This Yamuna Chhath Puja Bring Happiness and Prosperity Your Way, May All Your Dreams Come True And All Evils Shed Away. 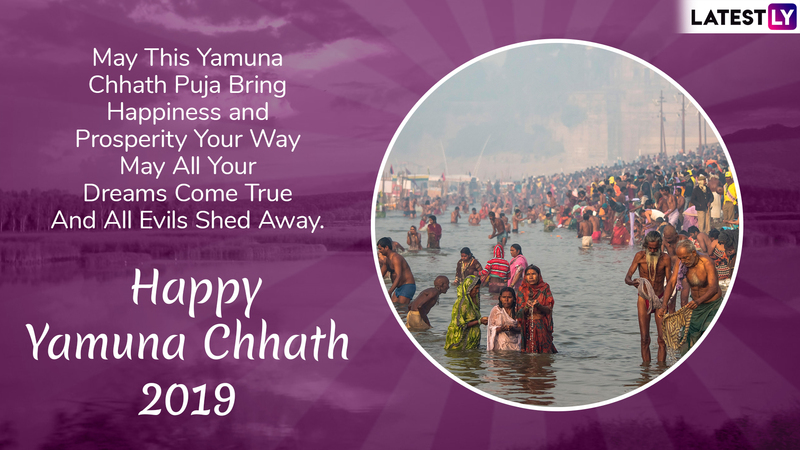 Happy Yamuna Chhath 2019. WhatsApp Message Reads: Sadvichaar, Sadachaar, Prem Aur Bhakti, Yahi Hai Surya Dev Ko, Prasanna Karne Ki Shakti. Yamuna Jayanti Ki Hardik Shubhkaamnayein. WhatsApp Message Reads: Mandir Ki Ghanti, Aarti Ki Thaali, Nadi Ke Kinaare, Suraj Ki Laali, Zindagi Mein Aaye, Khushiyon Ki Bahaar, Mubarak Ho Aapko, Yamuna Chhath Ka Tyohaar. 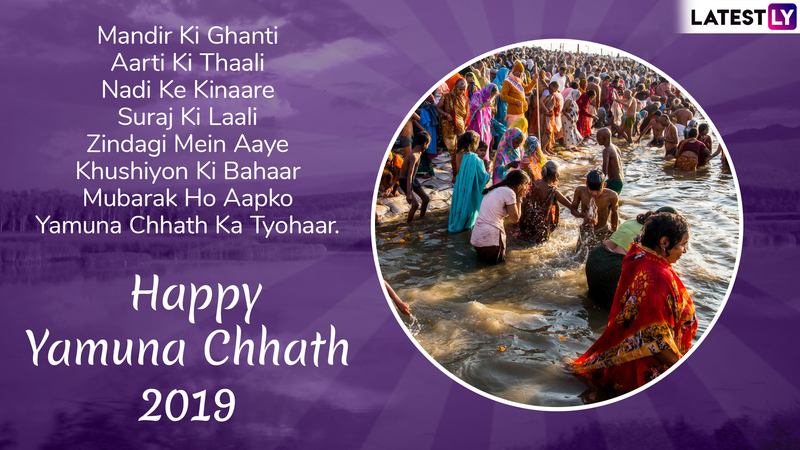 If you're searching for Chhath Puja Gif Greetings, it is readily available on Play Store along with several other interesting options to wish on the holy occasion. You can download it here. The Yamuna is second only to Ganga in terms of holiness. It is believed bathing and drinking Yamuna waters to remove all sins. People also observe fast on the day to get rid of their mistakes and get over their guilts. 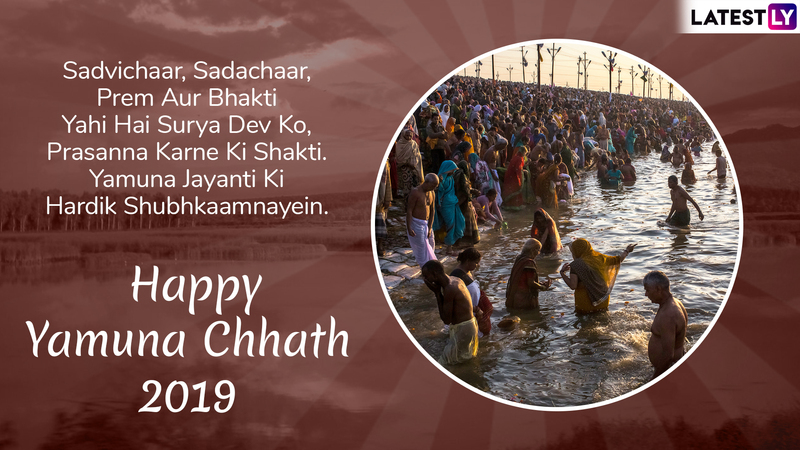 Chaitra month is truly one of the most auspicious time as it marks the beginning of several Hindu New Year’s Day (Ugadi, Gudi Padwa, Poila Baisakh, Vaisakhi, and so on) along with major festivals such as Chaitra Navratri and Rama Navami.